Norwegian shipowner Simon Møkster Shipping has been awarded a contract for one of its platform supply vessels by Lundin in Norway. Simon Møkster informed on Wednesday that Lundin Norway awarded a contract to the PSV Stril Mar. The contract is firm until the summer of 2018 plus options. 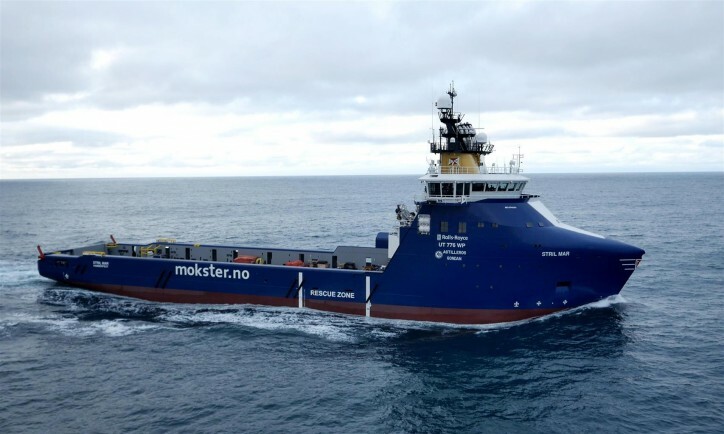 “Møkster Shipping are proud to be awarded this contract, and hope this results in a long-term relationship between Lundin Norway AS and Simon Møkster Shipping AS,” said the company. The Stril Mar is one of the newest vessels in Møkster’s fleet. The 91-meter long vessel of a UT776 WP design was delivered in March 2016. It was built by Astilleros Gondan S.A. and can accommodate 25 persons. The vessel previously worked for the Italian oil company Eni in the Barents Sea off Norway under a call off deal from December 2016.